We have been an official dealer of the Girodisc product range for a while now. We have recently reviewed our complete price list to make this excellent quality brand more competitive and attractive. Please browse through our Girodisc section and listings on the our new web shop. 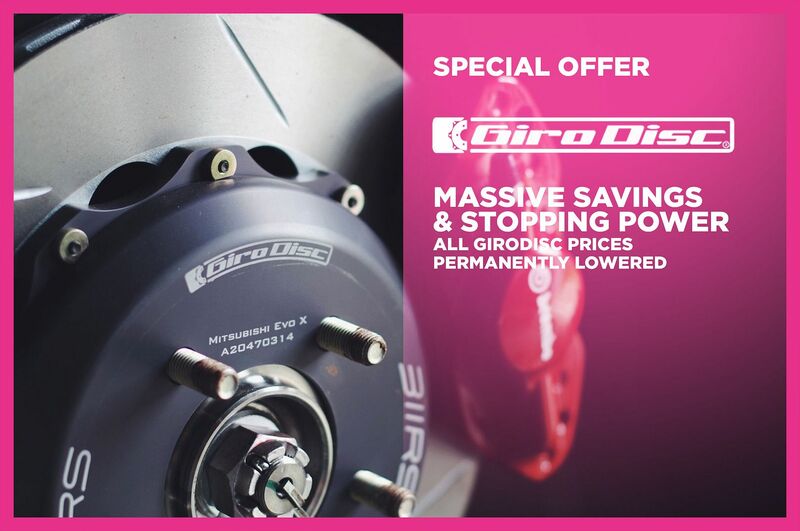 Girodisc is a Braking Technology Company dedicated to developing the best quality high performance braking components and solutions. Girodisc is guided under the direction of company Principal Martin Meade, who spent five years as an Engineer with Porsche Engineering Services, where he played a role in developing current Porsche technology. Martin began his engineering career working in Aerospace, developing tools and components for special projects. Before working with Porsche, Martin learned a great deal about vehicle design and technologies by working with several vehicle design and development firms. Martin has developed a critical eye and will not accept anything but the best quality. Martin has enlisted help from key sources such as a former Road Testing engineer and Design Engineer for Brembo North America in the High Performance division, Eric Dahl. With lessons learned at Brembo, and experience in prototype and racing car design, Eric has developed a broad spectrum of engineering capabilities in the world of high performance automobiles, and specifically the technologies for developing braking systems. Girodisc designs and engineers the replacement discs after documenting and studying the OE brake system and specifically the disc design. After analyzing the data and determining how best to maximize the benefit of the new disc, the design process is carried out using 3D CAD-CAE (Computer aided drafting, Computer aided engineering). Prototypes are constructed and tested with a vehicle. When the Girodisc team is satisfied that the disc will meet the goals established for the vehicle, it is produced in limited quantities and released for sale. Putting lessons learned and the latest technologies together to develop the highest performance braking systems for your project, racing car, or road car is the mission of Girodisc.